You don’t need a fancy and expensive meter to measure the sun’s intensity. With some inexpensive parts you can build your own meter. I used a 1ma meter movement and a single solar cell I got on eBay with an area of about one square inch. 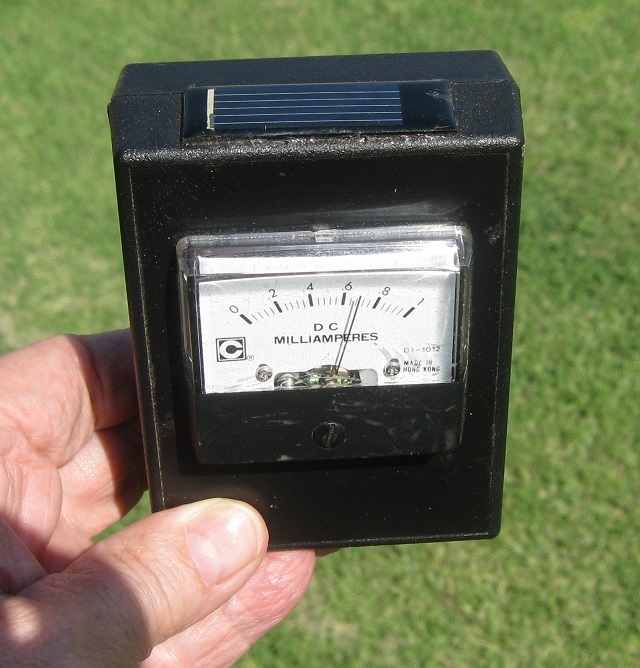 I calibrated the meter on a very clear bright summer day when the sun was directly overhead. I pointed the solar cell for the maximum deflection on the meter and then adjusted the 100 ohm variable resistor R2 for a full scale reading. The meter is great for spot checking expected sun power at specific roof angles, times of the day and even overcast conditions. I was amazed when I expected a low power reading on a cloudy day but measured about 60% intensity. 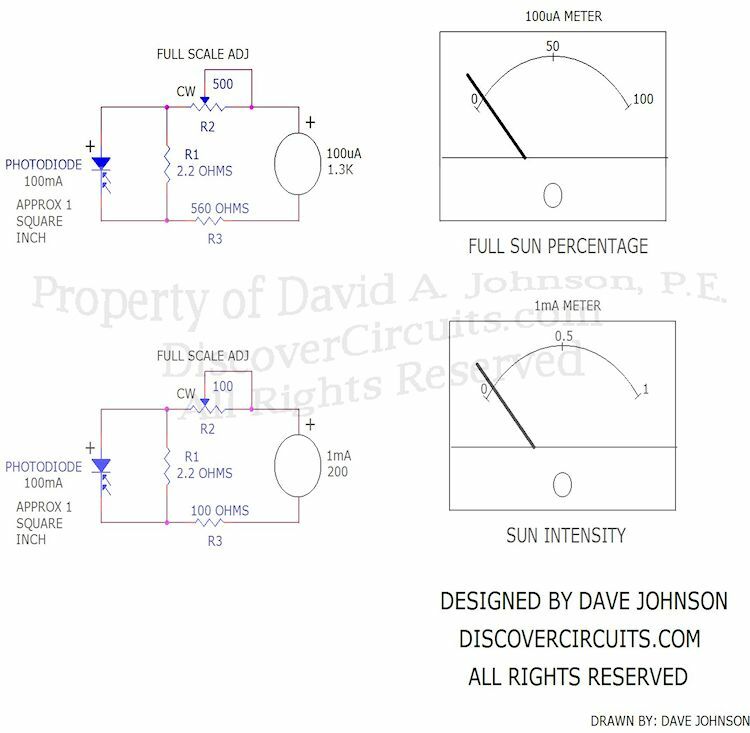 I have also shown below the circuit needed for a typical 100uA meter movement.